Without the added lift of the new advanced composite rotor blades it eventually will sport, the first CH-47 Chinook Block II test aircraft achieved first flight March 28 at Boeing’s manufacturing plant outside Philadelphia. The aircraft is one of three engineering and manufacturing development Chinooks that will prove out the capability improvements included in the Block II upgrade package. The other two airframes are on Boeing's final assembly line in various stages of completion, according to a company spokesperson. 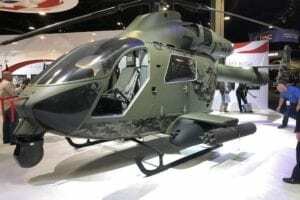 First flight occurred more than a month ahead of schedule, the spokesperson told Rotor & Wing International in an email. EMD aircraft number one will ferry from Pennsylvania to Boeing’s facility in Mesa, Arizona, in the next couple of months where it will be fitted with Advanced Chinook Rotor Blades and an accompanying beefed-up drive train. Together, those upgrades are designed to provide specific performance enhancements, including a 22,000-pound payload and high/hot hover performance at 4,000 ft on a 95-degree day. Maximum takeoff weight is boosted to 54,000 pounds with the goal of carrying a joint light tactical vehicle. 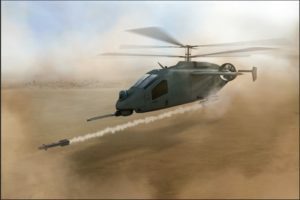 Included in the upgrade package are redesigned fuel tanks, a sturdier fuselage, a beefier drivetrain, and all new, swept-tip advanced Chinook rotor blades. Without any other upgrades, the blades are designed to provide an additional 1,500 pounds of lift. Once outfitted with all the Block II kit, EMD 1 will begin an 18-month flight test program in Mesa, where the second aircraft will eventually join the first for flight tests upon completion. Boeing developed and is now producing the evolutionary upgrade package for the U.S. Army and Special Operations Forces under a $276 million contract awarded in 2017. Under the engineering and manufacturing development (EMD) contract announced June 27, Boeing will re-manufacture three Army CH-47Fs with Block II upgrades. The Army eventually plans to convert about 500 of its CH-47Fs to Block II configuration.